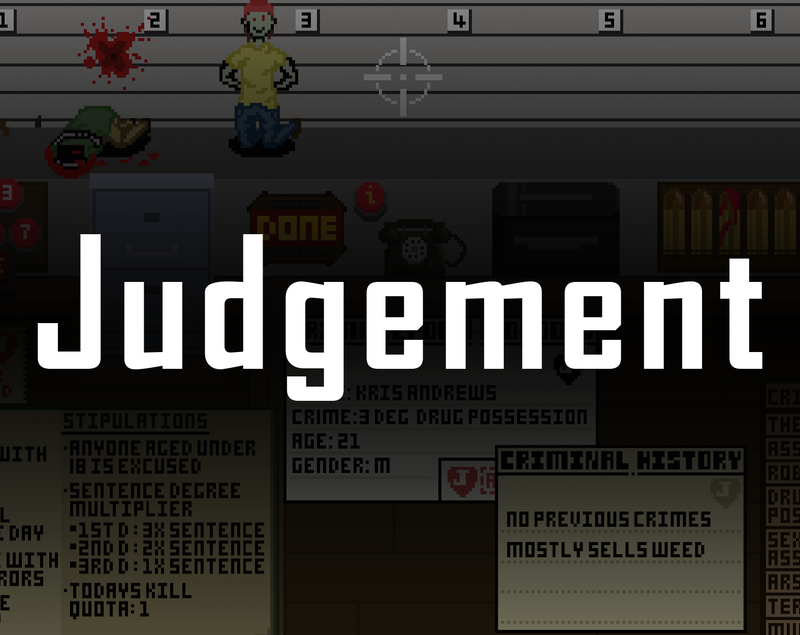 Judgement is a 2d pixel-art game where u are a police officer tasked with the job of deciding who to kill to help the Department of Justice save time and money by avoiding the legal system. Compare crime reports to decide who has the longest sentence and use their criminal history to help reaffirm your judgement, though it might make the decision harder morally. This game is made for a university assignment where my research was based on Papers, Please. So if the visual style or feel of the game is similar, this was part of assignment and it was meant to capture a similar feel. I do not intend to sell or make money off this game. 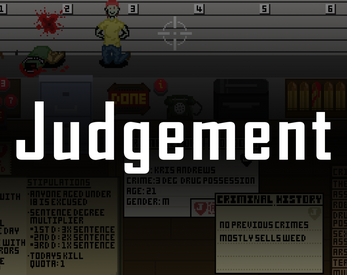 Judgement is more of a proof of concept with only 3 levels and as such probably won't receive major updates.